Dragons appear throughout Japanese folklore and mythology as serpentine deities often associated with water. The Bronze Oriental Dragon Wakizashi displays this mystical creature in the ornamentation of the bronze sword guard. The dragon weaves in and out of cutouts in the round tsuba design. 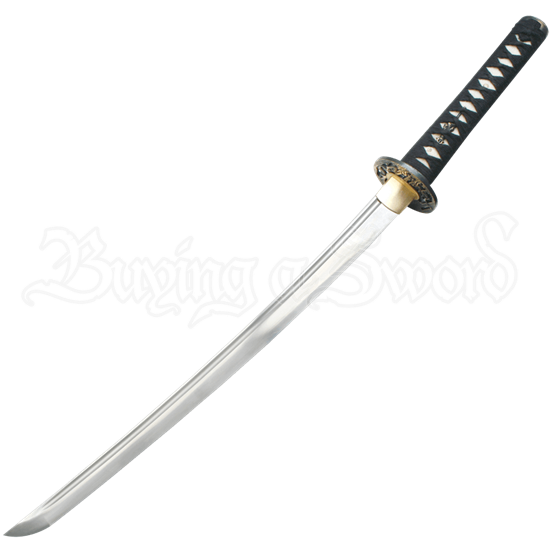 This functional wakizashi features a high carbon steel blade with a fuller and a silk-wrapped, authentic ray skin handle. 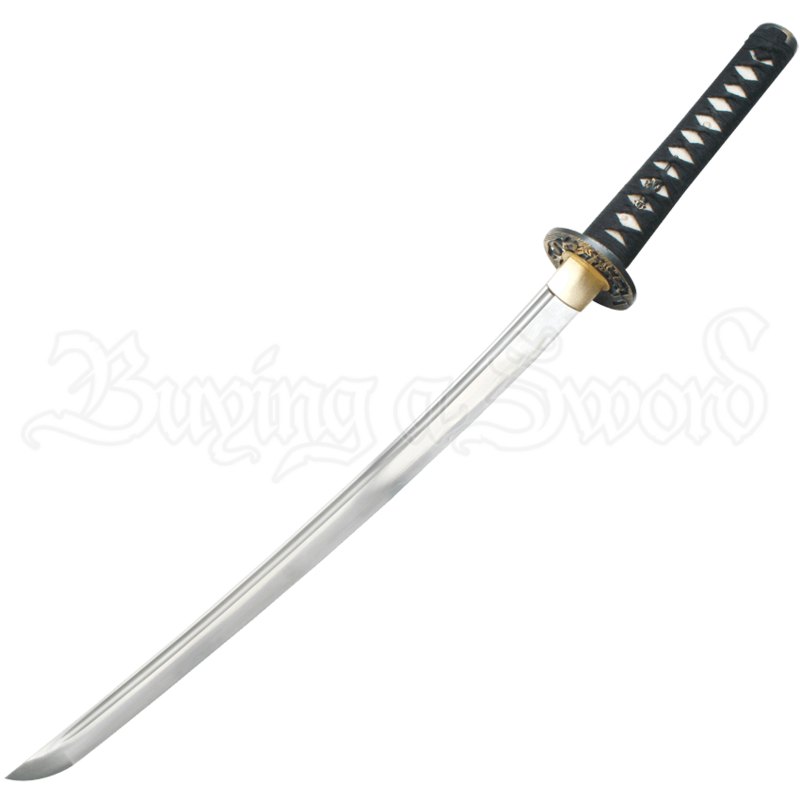 The high quality Japanese short sword comes with a black, high gloss lacquer scabbard, a certificate, and a sword bag, making this an excellent option for any collector. Be sure to check out the matching katana (MC-RY-3041), as well!